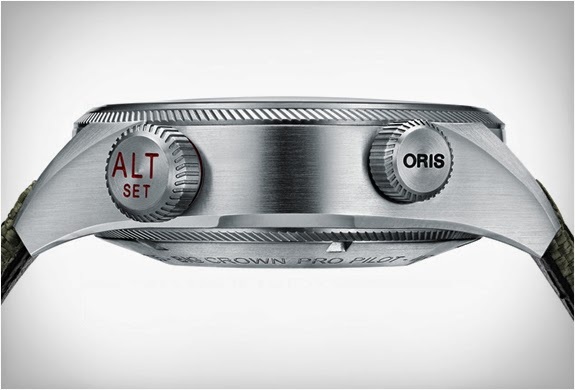 Timepiece makers Oris have launched the world’s first automatic mechanical watch with an altimeter. 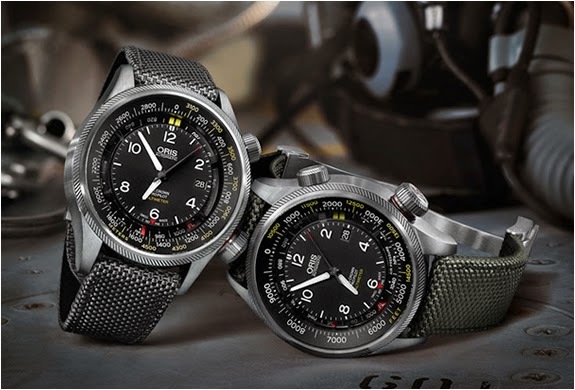 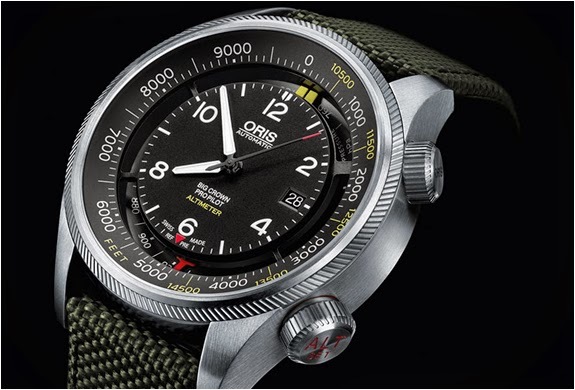 The stunning Oris Big Crown ProPilot Altimeter watch was designed with performance pilots and adventurers in mind, the 47mm stainless steel crown houses an utilitarian dial that features a yellow indicator on an outer scale indicating the altitude, while a "recessed” scale is used to indicate the barometric pressure via the red indicator. 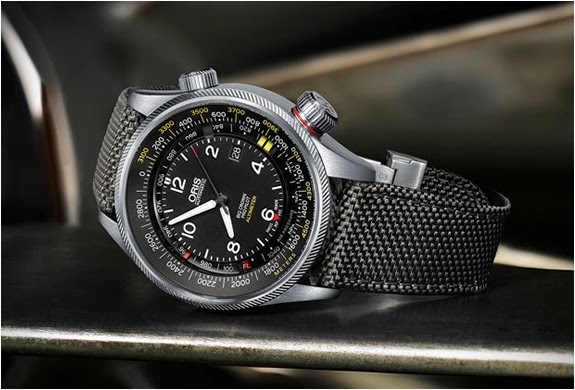 Available with an altitude scale in meters or in feet, and with a choice of leather, textile, or metal strap.